Caesars Entertainment Corp. said last week that it will spin off its interactive gaming business, Planet Hollywood and a planned casino in Baltimore into a separate company owned in part by the casino operator, the company’s stockholders and private equity firms Apollo and TPG. Apollo Management and TPG Capital are expected to invest a combined $500 million in cash into Caesars Entertainment as part of the deal, which would create a “growth-oriented entity” controlled by Caesars Acquisition Co., a company created to facilitate the transaction. Caesars Interactive CEO Mitch Garber will serve as CEO of the acquisition company and continue in his role with the interactive division, which owns the World Series of Poker. And how will you be marking your calendar? 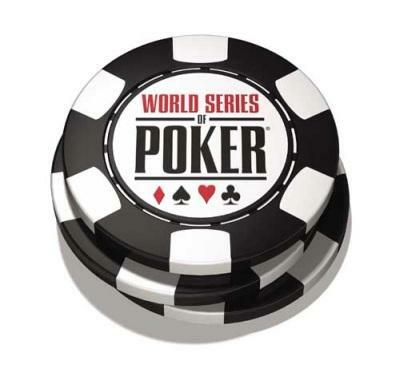 Here’s the link to what you care about — the official schedule for the 44th World Series of Poker. And here’s the link to the WSOP Command Center online, which the WSOP seems pretty intent on making sure doesn’t end up anywhere else. We’ve got two One Drop events … the Little One for One Drop — for players thirsty for charity action in a small four-figure range … and the Medium One for One Drop, aka the High Rollers event for a $111,111 buy-in. 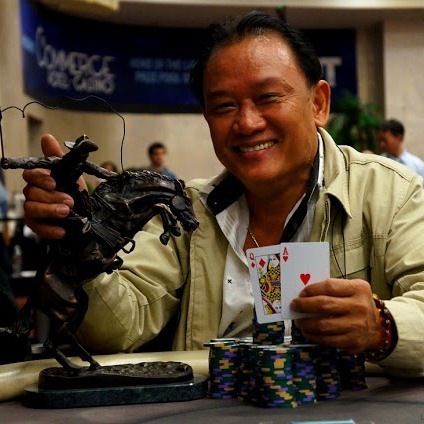 Other than that, on quick scan it seems to be a lot more big-field no-limit hold’em … maybe with a few gimmick Savage Tournament knock-off events (ante-only, re-entry, etc.) thrown in for good measure. But lest you accuse Caesars Interactive of not being able to jump on a trend du’jour … there’s also an Open Face Chinese Poker exhibition event. 62 bracelets (I can’t remember, is that a lot or a little?) over 48 days, May 29-June 15. Final nine resuming in November. You can expect at least 50,000 poker players to end up with broken dreams … and probably a few dozen shattered marriages to boot! But hey, so long as Caesers keeps it fun, players keep coming back for more … and it’s like every year you have a whole new crop of 21-year-olds coming of age! 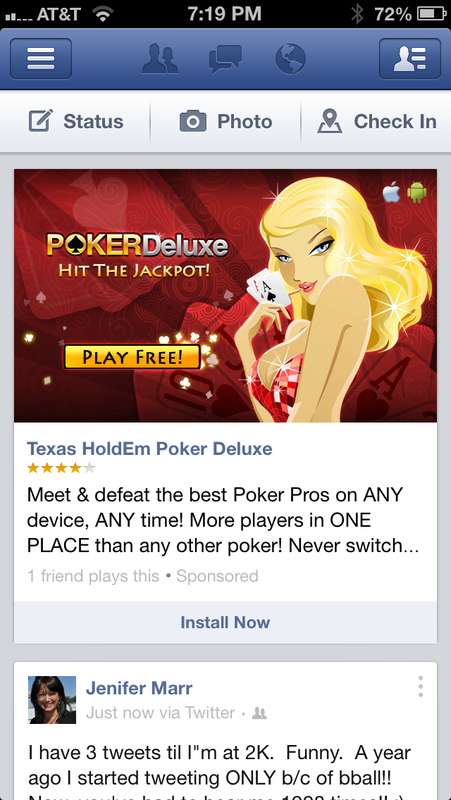 You probably can also expect continued Cold War with PokerStars. 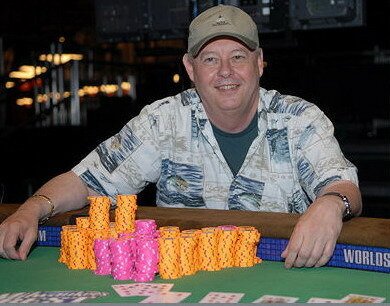 Because for all the positive spin that goes along with an official tournament schedule announcement, and for all the hype of rags-to-riches jackpot dreams — they’re calling one $1,500 event “The Millionaire Maker” … the press release makes 0 (zero) mention of Chris Moneymaker on the 10th anniversary of his historic WSOP run. 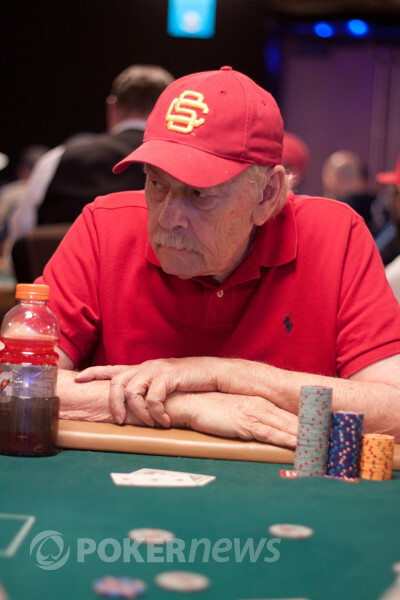 But hey, with or without the marketing power of PokerStars’ World Champion Everyday Joe Pro, the WSOP has done a good job over the years of keeping their brand at center of the poker universe burning bright — almost like a supernova! — particularly during the dead heat of Las Vegas summers. Is that the future in your pocket or are you just happy to see me? 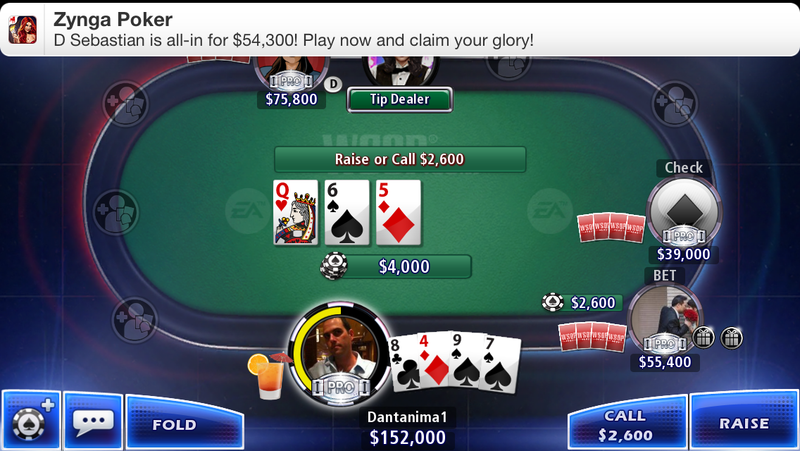 Here’s a quick little slice-of-life glimpse that, imho, is quite revealing … as two free-play online poker ops compete for my mobile attention. Zynga, whose marketing seems to be more and more about side-cleavage these days, is apparently hoping to entice me to their tables with an FYI that the ever lovely (and presumably unpaid) Danielle Ford is playing … while the WSOP, by comparison, relies on a semi-anonymous player-friend, a machismo-based poker challenge, and virtual trinkets to keep me from a pleasant walk in the park with two living beings I love. But notice the clock … you can see how if I worked a normal job in an office the decision of how to spend my time would actually be that much easier. 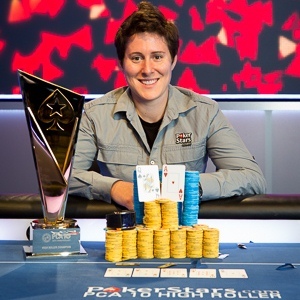 The World Poker Tour made its Chinese debut this weekend at the MGM Grand in Sanya. 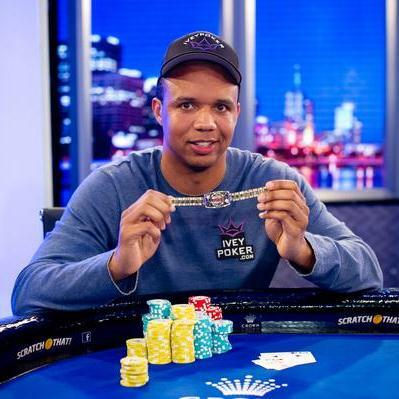 That’s some 400 miles down shore from Macau, where PokerStars recently hosted the inaugural “Asia Championship of Poker”, and next month will hold something similar called the Red Dragon. These events come just as Caesars, unable to get properly licensed in China, is officially retreating from the Communist gamblers’ promised land. Meanwhile, Stars is apparently trying to get (back?) into North America by buying a distressed brick-and-mortar casino in storm-ravaged New Jersey — this according to an announcement that may or may not have been conveniently timed to steal buzz from a WSOP circuit event going on in Atlantic City. Check out how the three biggest brands in poker (and the online gaming sites behind them) stack up against each other. 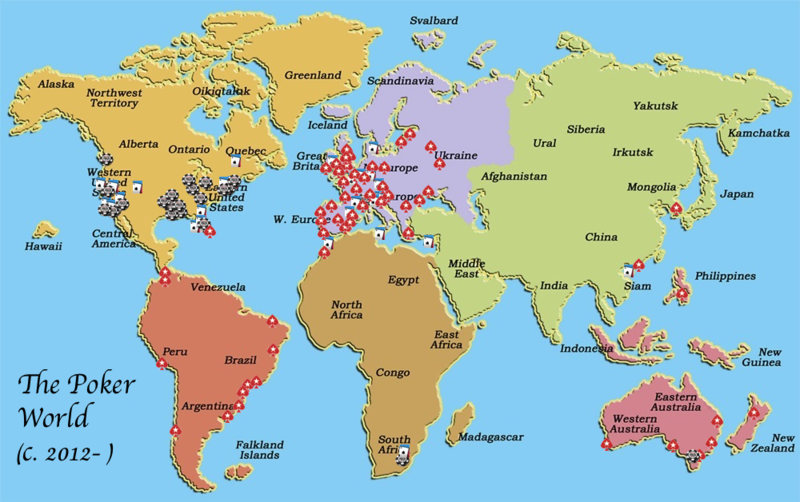 I make no claims of these maps being to scale nor anything more than “pretty accurate, I think,” but look past my amateur cartography to see how three Poker World superpowers — the biggest American casino corporation, the biggest European internet gaming company, and the biggest “offshore” online poker operator — have been competing fiercely to corner your neighborhood tournament market. See below to for some historical perspective on how the current live-tourney landscape took shape over the first decade of the 21st century. 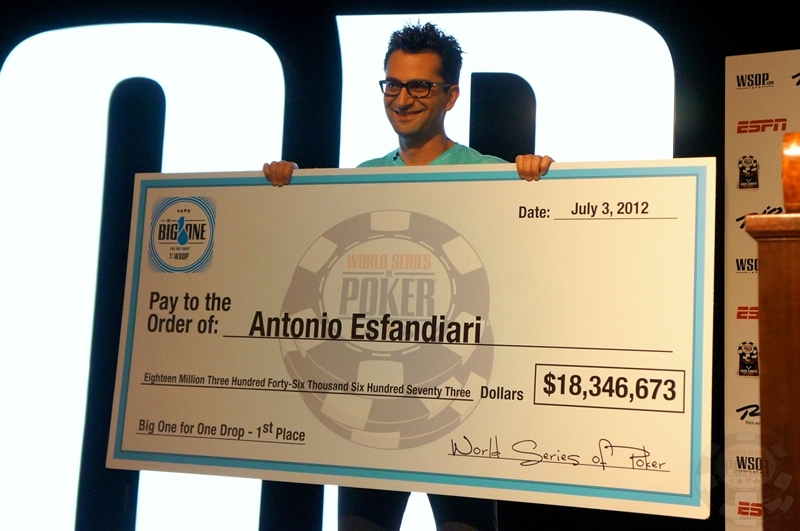 What's really at stake with online poker free play? Zynga Poker, apparently recognizing a decrease in my “Texas Hold’em” play, buzzes me mid-Omaha in a failed effort to win me back to their handheld digital tables. 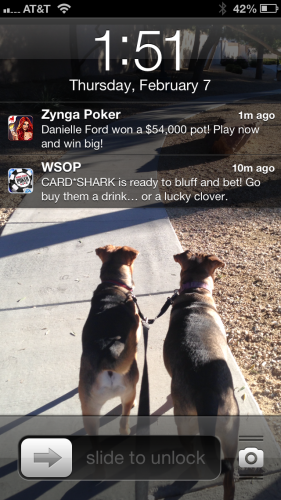 The story gets even better when you look into the lawsuit between Zynga and WSOP app-maker Electronic Arts … particularly as Zynga gets ready to do battle on Facebook for real-money gambling in partnership with BwinParty.